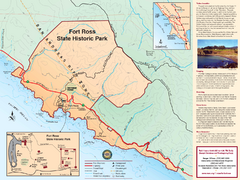 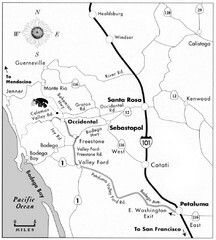 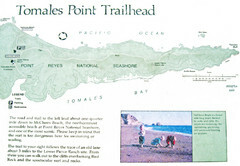 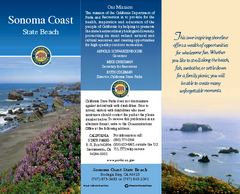 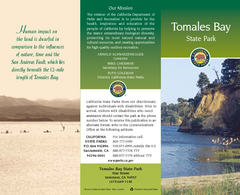 Park map of the Sonoma Coast State Beach park lands in Bodega Bay, California. 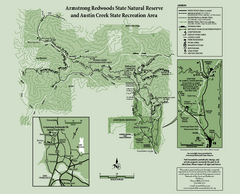 Shows roads, trails (paved and dirt), horse trails, and park facilities. 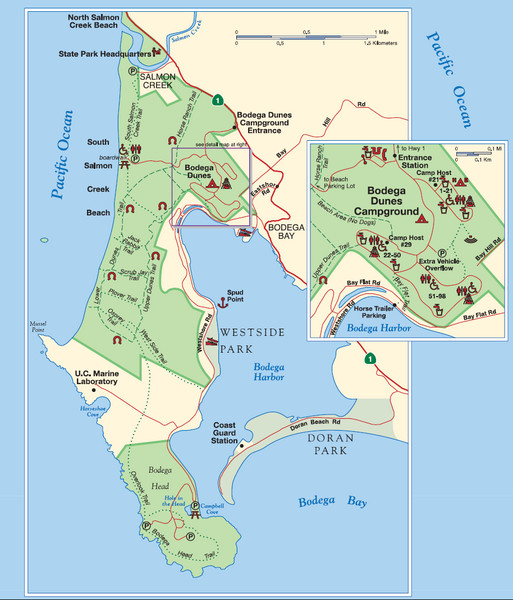 Detail map of Bodega Dunes Campground.